Bonding adhesives (also known as liquid adhesives) are a popular way to attach hair replacement systems for both daily and extended wear. There are three main types of bonding adhesives:solvent-based, acrylic-based and water-based. When wearing a wig or hair replacement system, an attachment product is used, either tape or glue. If it is your first time using a product, we highly recommen﻿d doing a "patch test" prior to the attachment of the hair system to avoid possible scalp irritation or discomfort. Ask a CARE Specialist about "patch test" and which tapes and adhesives will work best for you. 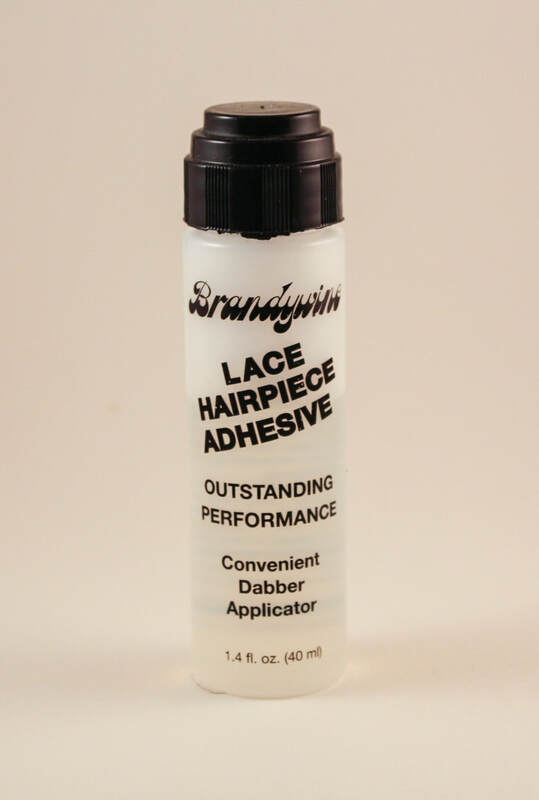 Brandywine Lace Hairpiece Adhesive is a acrylic base adhesive that is designed for lace hairpieces. Hold time is 7-10 days. 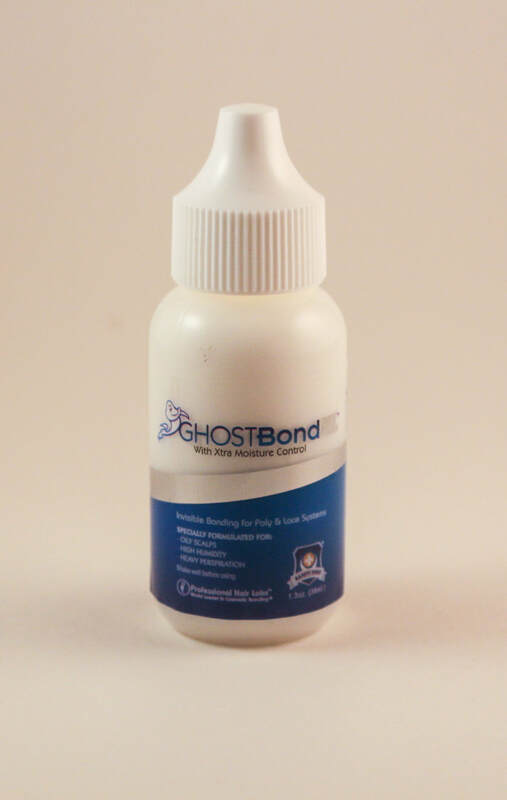 Ghost Bond is the number one choice when you do not want harmful chemicals, latex, and toxic ingredients and yet do not want to compromise on performance. 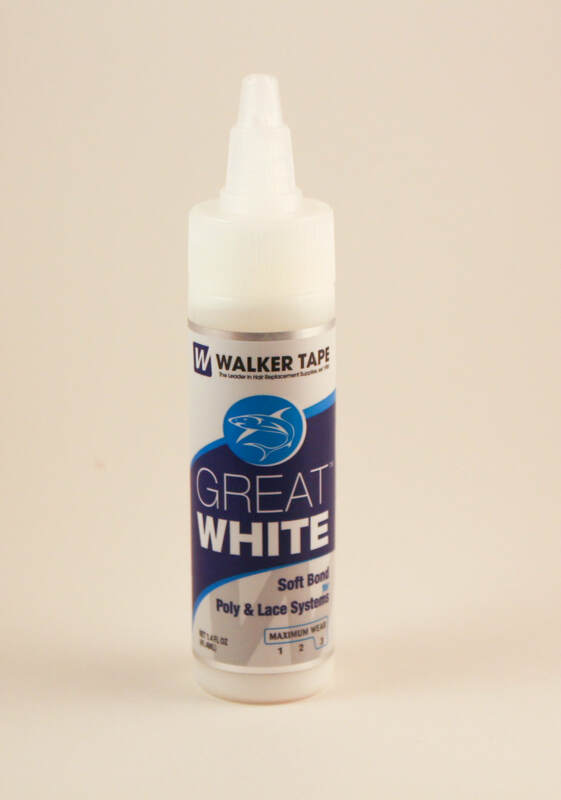 Great White is water based adhesive that is strong, and dries clear. It's very easy to work with and not stringy. The formula is bacteria resistant allowing the adhesive to stay fresher for longer.